It's April Fool day and beware peeps! Do enjoy your Friday fooling people kay!! Today is the day am officially no longer attach with the company am working for, feel so different though. Well, lets move on, shall we? To me, CityMall is actually a mini version of Warisan Square for it has many food outlets! For my recent visit to Citymall, colleagues and I had our lunch at there. 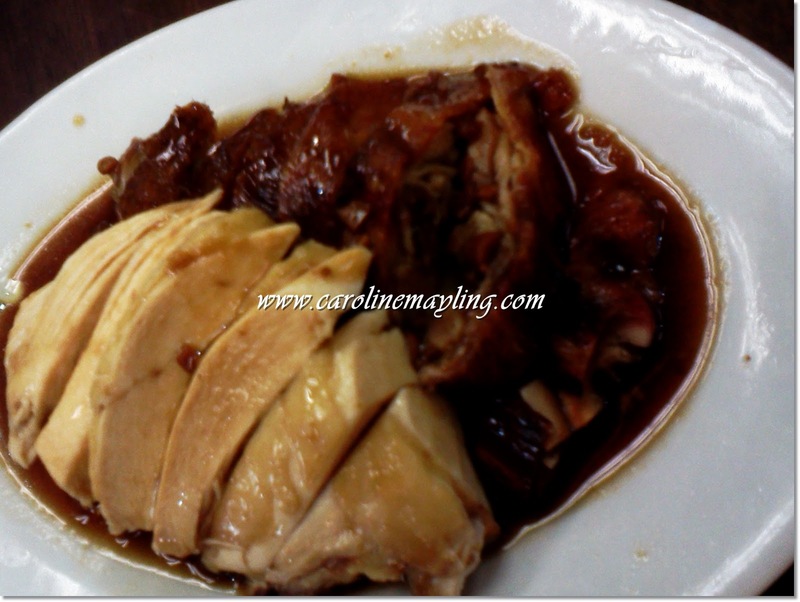 We tried at this Five Star Hainanese Chicken Rice, which is famous for it's Chicken Rice and BBQ Pork! 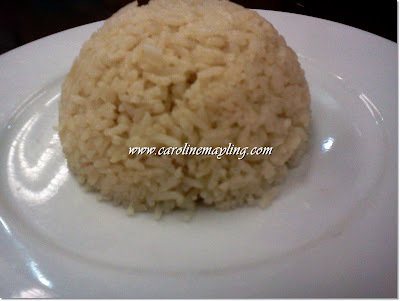 Olivia had this Rice with Japanese Tofu cooked with Minced Meat at RM 7.00. I love the very very smooth japanese tofu and it melted instantly in mouth! 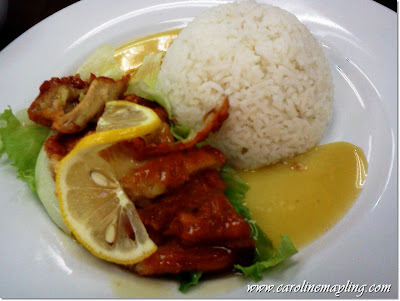 I settled myself with this Lemon Chicken Rice at RM 7.00. The lemon juice tasted soo nice goes with the rice and love how crispy the chicken is! Stephanie had this Bitter melon with Meehoon at RM 7.00. 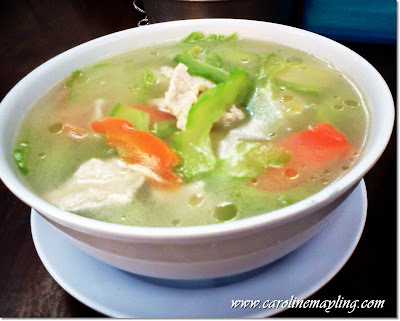 Although the soup looks so plainly clear, it is flavorful! There's also generous amount of pork meat within it and it served in big bowl. Everyone were quite full but not me! I've been craving for ice cream! 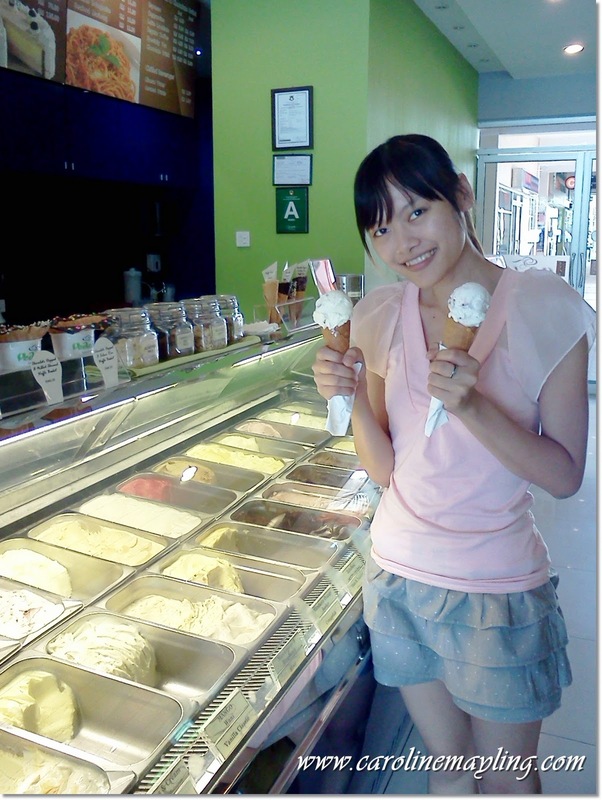 And.. there's Vedablu to get my ice cream fix! Vedablu is the famous Italian's premium ice cream with a simple tagline - "Simply Natural" . 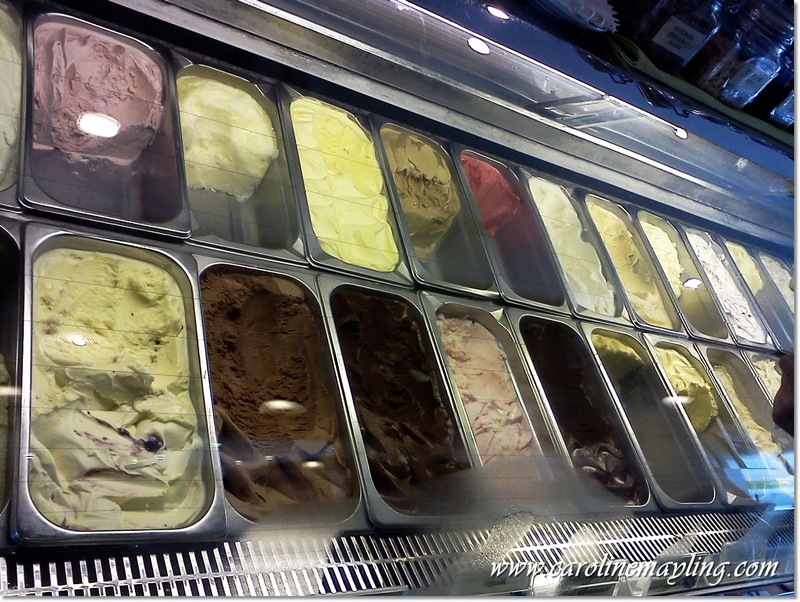 The varieties flavor of ice cream you can choose for! It seem that I can't get enough but well I know I have the limit for it. 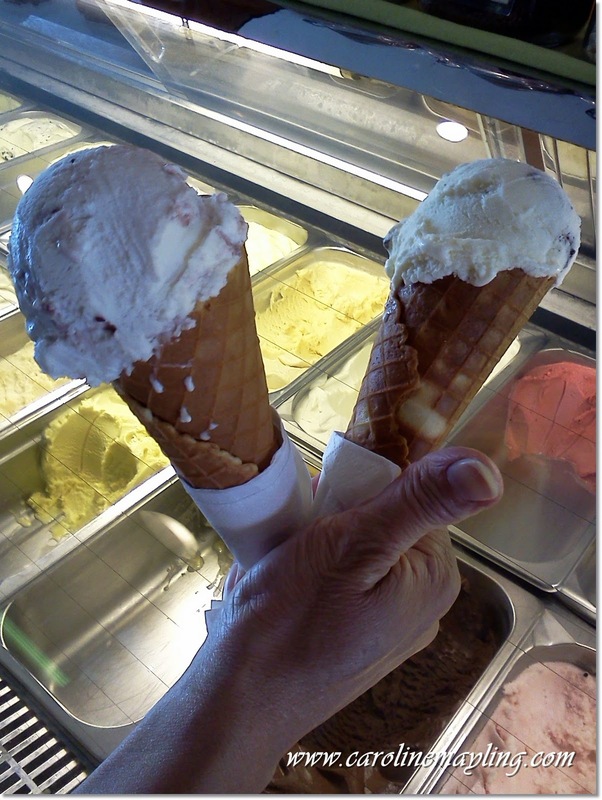 The Cream with cookie ice cream and Mascapone with Raspberry ice cream. 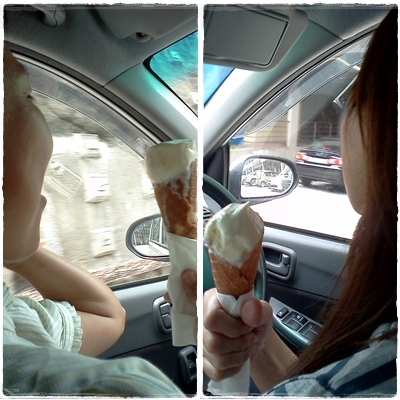 Look at the mommies eating ice creams!! And how the kids relaxing and enjoy the ice creams behind. Well, this is not those ordinary ice cream that you can easily get outside there, it's an Italian Premium Ice Cream and you know it cost you more. It's RM 5.60 per scoop and the cone cost you RM 1 depends on what type of cone you prefer. It is indeed simply natural and simply delicious! 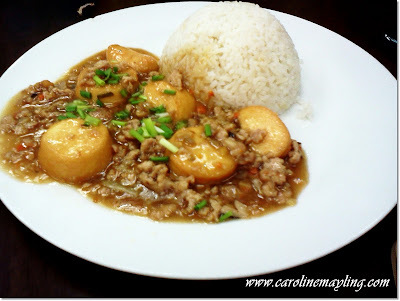 And... that's my ALL TIME FAVORITE!